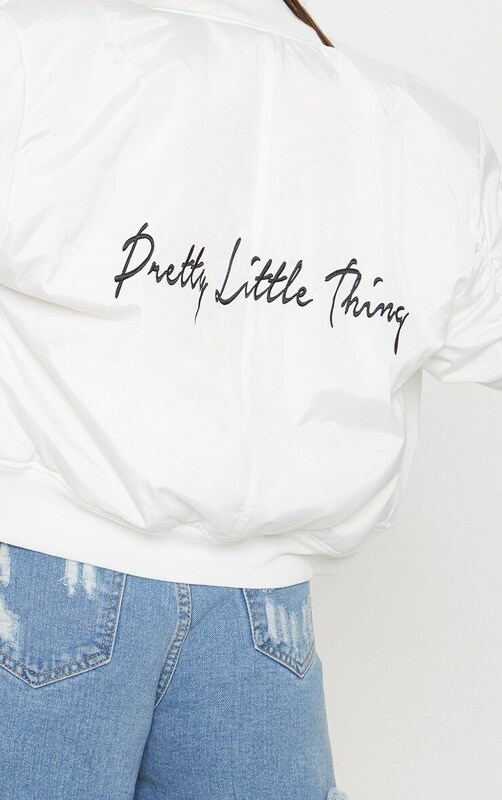 Get ready for the colder upcoming seasons with this oversized jacket. 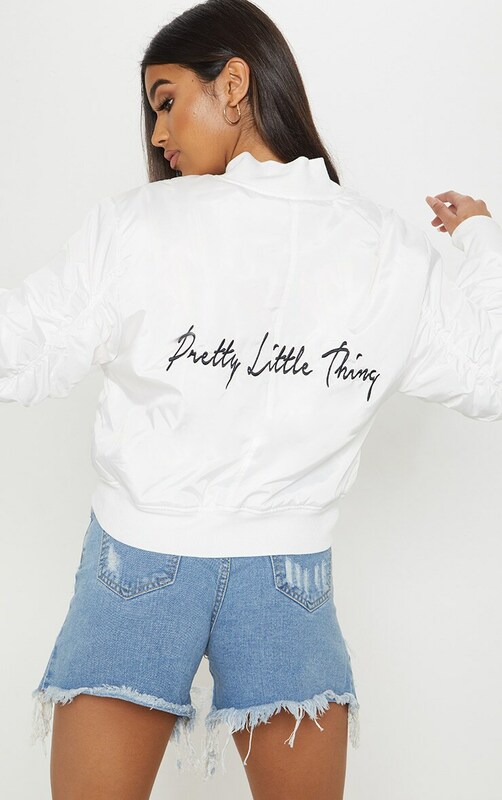 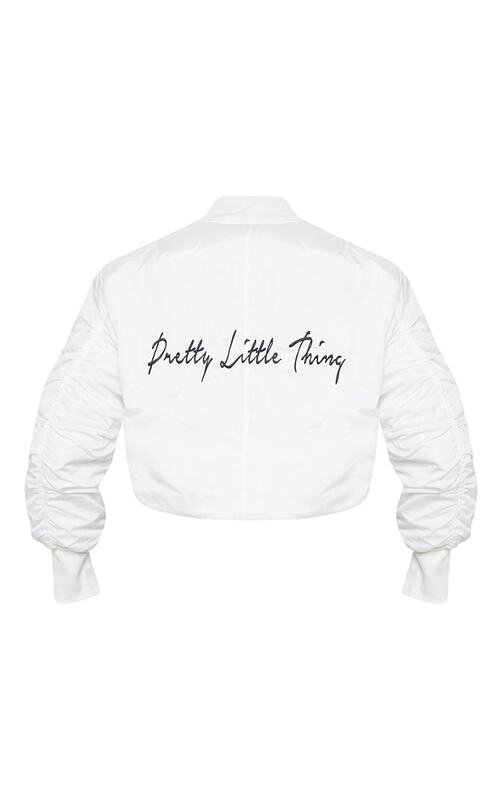 Featuring a white material, cropped length and 'PRETTYLITTLETHING' slogan, what's not to love? 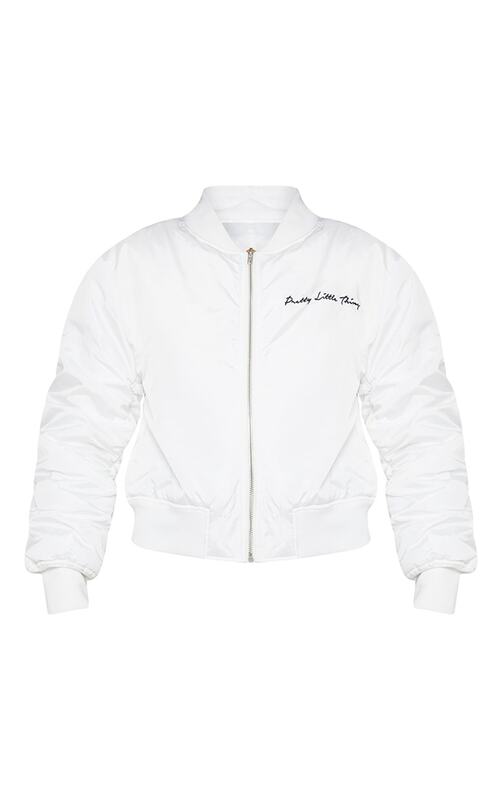 Style it over your crop and joggers for a cool off-duty look we're loving.